Online merchants are constantly seeking a way to promote their products since the competition between online players is heating up. Not only newcomers but also entrenched players should be creative if they want to stay afloat and thrive. Looking for a way to call customers’ attention to your products? Read on this article to learn what are 10 sure-fire methods to promote a product online. Email is probably one of the most effective marketing channels able to bring up to $44 for every dollar spent. 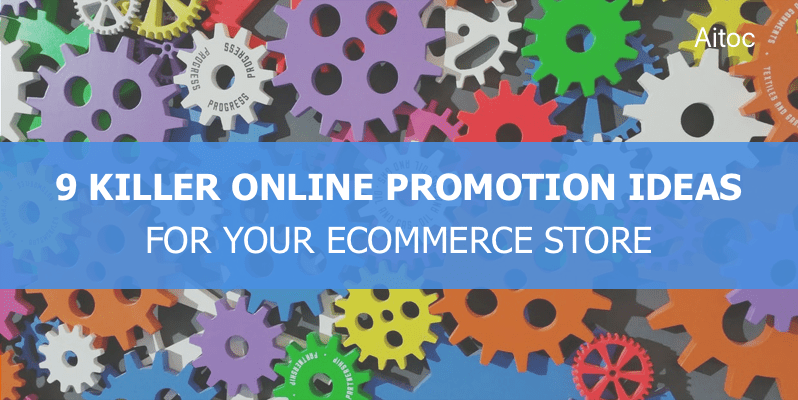 This makes email campaign a perfect vehicle for ecommerce promotion that works right away. The number of possible email strategies is really endless, though it’s important to bear in mind that bombarding your subscribers with messages won’t bring you any benefit. A smart and well-thought-out approach to your email marketing is a must to make things work. 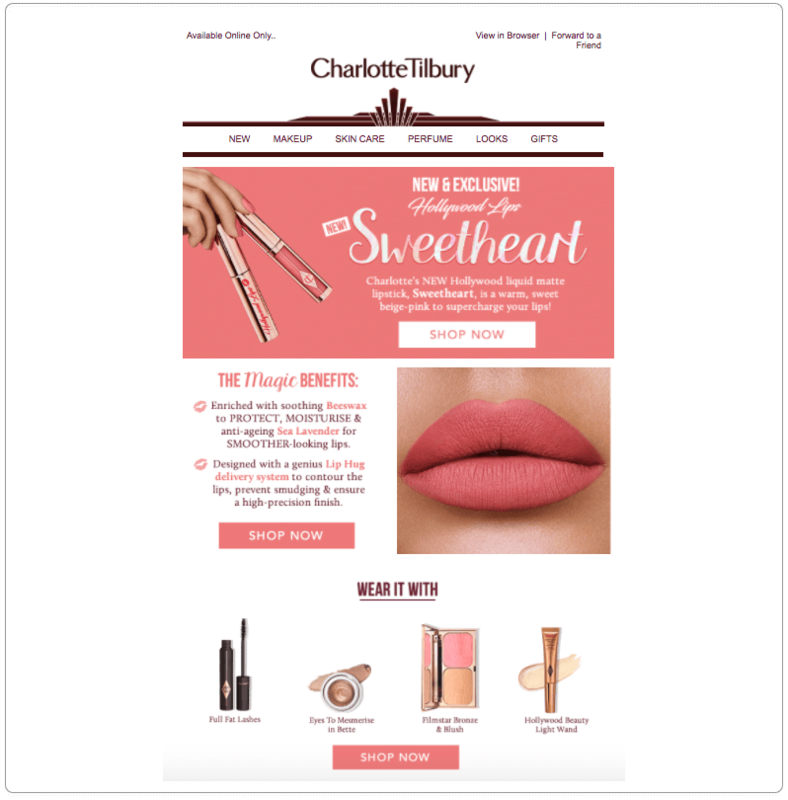 For instance, welcome emails provide a great way to introduce your brand to a newcomer and bring some bestsellers or featured products in the spotlight. Generally speaking, you can take advantage of many kinds of follow-up emails too to promote your goods and services. Make sure that subscribers can unsubscribe from your newsletters anytime. By removing a dead weight, you’ll increase deliverability and open rates by sending emails to only engaged people. Today life of many people revolves around social media, and that’s why e-merchants launch social media accounts to get closer to their potential customers even out of the store. Having social media accounts is now an absolute must for online retailers promoting their products online. Not only they provide a perfect opportunity for customers to communicate with a brand and each other. Today they have become a perfect platform for promoting and even selling products online. One of the industry leaders, Instagram, supports businesses providing them with the opportunity to sell directly on the platform via posts and stories. You may intensify your Facebook marketing efforts by putting a Facebook Shop Section to use, thus turning this social media giant one more sales channel. With its help, you’ll give visitors who come to your business page an opportunity to buy products without directly accessing your website. And the Facebook Custom Audiences tool will help you promote your products among the target audience. 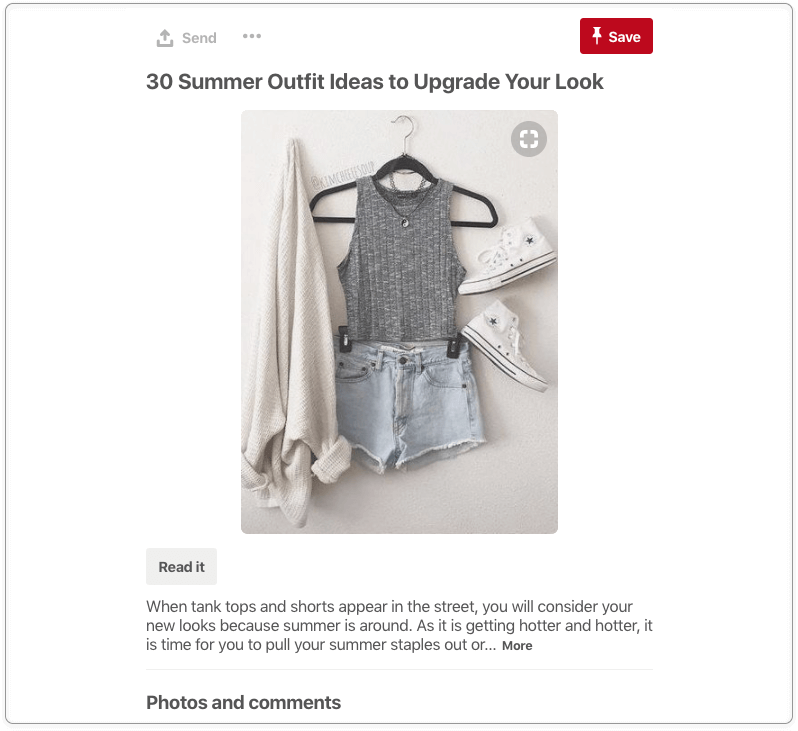 Pinterest is another social networking site worth mentioning: more than 90% of its active Pinners use this platform to plan or even make their purchases. Engaging consumers can help online retailers boost shares and conversions, and even transform strangers into loyal friends or brand ambassadors by reposting their content product- and brand-related content. Contests and giveaways are a perfect way to drive customer engagement, increase website traffic and grow a social media tribe. By running a contest or a giveaway, you drive attention to both a product and your brand. You can launch one prior to a special day or hold a giveaway amongst your loyalty program members. Your imagination is the limit! The majority of your audience will be glad to take part in some kind of a giveaway as we all know – people love freebies. This will drive customer engagement and, of course, allow you to feature a product you’d like to promote. Check out this blog post for some contest inspiration and maybe you’ll come up with a perfect idea for your own store. Exploit the enormous potential of content marketing to propel your brand into fame by giving site visitors free access to valuable content. The more unique content you write, the higher search engine rankings you get. It means that occasional visitors and regular customers will not be only readers of the blog. Attracted by your content, others will start flocking into the store, too. That is the reason why 53% of marketers see blogging as the top priority for their content marketing. You may ask a blogger to make a post on social media and in his/her blog about your product. Being opinion leaders, they surely can attract additional attention to your brand and promote sales. People love free stuff. You may promote an upcoming product by sending freebies to some influencers. If the product is really good, some of them may even mention it in on social media or in their blogs, and therefore create a buzz around your upcoming product. And your job will be to strike while the iron is hot. You may also send free samples to most loyal customers to demonstrate your appreciation and take advantage of word-of-mouth marketing. Other consumers will also want to get their hands on the product very soon. And to further support customers’ interest in the soon-to-arrive products, you may provide them with an ability to pre-order these items before they get in stock. You’ve certainly heard of curated shopping websites unless you’re living under a rock. Shoppers who hate search the web in an attempt to find the most appropriate product rave about such sites. Websites like Lyst are time-savers for many people. They come in handy for consumers trying to find product recommendations of real people, as these sites utilize user-generated content and peer recommendations to deliver an engaging and personalized experience to visitors. Affiliate or referral programs for ecommerce can help you grow your sales without inviting new members to your sales and marketing teams. 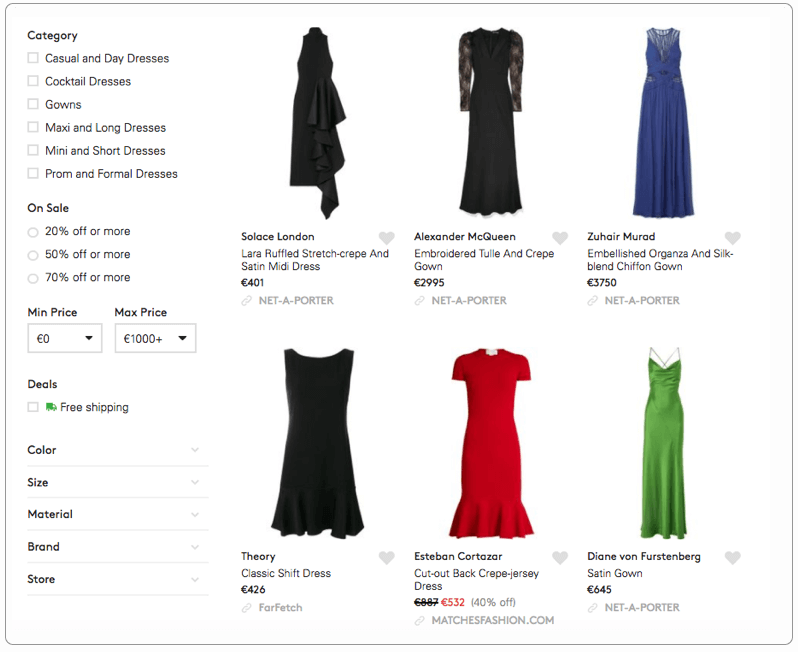 They enable e-retailers to share the marketing load with individuals and other businesses. By adding such a program to your website, you get a bang for the buck since affiliates promote products for a commission. There are many web stores using this tactic. Why don’t you jump on the bandwagon, too? Live streaming is all the rage today, and YouTube may be dethroned by rising stars very soon. With mobile devices in hand and an app installed, anyone can become a live streamer. Different businesses already use live streaming platforms to snap the attention of the online audience, while others opt for live streaming functionality of Facebook and Twitter. Regardless of the tool, the fact is that videos are a perfect promotion tool, that actually does drives sales. Businesses have recognized the importance of being savvy about online ads. Google arms merchants with an extensive set of tools to promote their products. With the help of the Ads, you can literally place your ad on any page in the search results and partner sites, thus boosting your reach by times. In short, your ad will appear each time when a consumer searches for terms related to your product. This marketing option is quite expensive, but there are many success stories proving a point. Check out Google’s guide to Ads for more details. In today’s competitive world, online merchants should get their creative juices flowing not to fall behind their rivals. In this blog post, we shared 10 great ways to increase brand awareness and pique consumers’ interest in your products. Put them to use, and you’ll see the results very soon. Do you have other creative ideas for promoting a product online? Share them with us in comments.